Founded in 1999, Versant Ventures, a venture capital firm which invests in early-stage companies across the healthcare sector, has in excess of $1.9 billion under management and offices in North America and Europe. Versant rocked Canada’s biotech industry last December with its announcement of a $295 million partnership with German pharmaceutical giant Bayer AG to launch Toronto-based stem cell company BlueRock Therapeutics. Biotechnology Focus recently had a chance to speak with Brad Bolzon. The managing director of Versant was candid in discussing his company’s Canadian operations and what he thought about the country’s biotech industry. Q. What are the most recent investments Versant in Canada? We established our footprint in Canada by setting what we call Discovery Engines. They are incubators we build to help set up companies. Our first Discovery Engine in Canada was Inception Sciences in Vancouver in 2011. Inception Sciences is a small molecule pharmaceutical incubator. It focuses on creating high-value therapies that have the potential to address disease with significant unmet needs. We followed this will an Inception Sciences in Montreal. 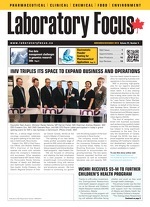 Then we set up our Blueline Bioscience incubator in Toronto. I think our biggest accomplishment is being able to cover the major biotech communities in Canada. Q. What makes Versant’s Discovery Engines unique? Many early-stage biotech venture firms do raw startups have the same system of incubation. They either look for viable startups or build them. We’re no different. The major distinction is that, unlike incubators that have two or three people sitting in a room scanning the startup landscape, we actually have wet lab facilities. These are facilities operated by scientists who not only look for opportunities but actually conduct experiments to validate the science. This gives us a real competitive advantage in that we are able to actually collaborate with academics to validate their research and take them to the next stage so that they can be ready for a startup company. Versant has up to 100 scientists in labs in San Diego, New York, Vancouver, Toronto, Montreal and Basel, Switzerland. We raised our sixth fund at the end of 2016 at $400 million. We now have a total of $2.3 billion in global capital. Q. Do you create your own companies? Yes. I think 1/3 to 40 per cent of our joints funding is expected to be a Versant company. Q. How many Versant companies do you in Canada? In Vancouver, we have Inception Four, an ophthalmology startup working on macular degeneration in collaboration with Bayer Healthcare. In Toronto, we have Northern Biologic, an explosive Series A commitment out of U of T in the oncology area. Then in Montreal, we have Inception IBD, a company focus on inflammatory bowel disease that has partnered with Celgene. Then we made an investment in an existing company, Turnstone Biologics in Ottawa. Late last year, we created BlueRock through a joint venture with Bayer. All four are Versant-created companies. Turnstone was an existing company. Q. Four years after opening shop in Canada, what’s your current assessment of the biotech industry in the country? I’m a Canadian born in Ontario. One of my first jobs in the industry was working for Eli Lilly Canada searching for collaboration opportunities. We are familiar with the capability of the Canadian research community. Clearly, there was not an emerging venture ecosystem to match it…I think we’ve been very surprised we exceeded our expectations. We’ll continue to use Canada to build our portfolio…In the next quarter, we will be announcing the launch of our second Montreal startup that will be in the cancer field. Q. In what areas is Canada leading? Work going on in the U of T network in CCRM is world class. John Bell’s work in oncolytic in Ottawa is world class. 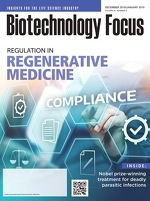 Oncology and regenerative medicine. Q. Where is the country lagging? Scientifically, Canada has always been strong. I think it’s in the translation piece that there is some challenge. We’re off to a great start, but at the end of the day, we have to take these companies to the finish line. There are not that many life sciences venture capital companies in Canada, particularly in the early stage. So we have to partner with large pharmaceutical firms as we did with BlueRock – and we have been successful at this. Q. What are the challenges faced by venture cap firms in Canada? When one builds a company, it’s not just about finding a great technology and IP. It’s about building a great team, a great financing strategy, great operating business model. In Canada, when it comes to building a great team, it’s difficult. There are not that many experienced entrepreneurs that have been there and done it before. We often have to bring in a first-time CEO and mentor them. Mentoring takes time. The second challenge is finding co-investors…at the end of the day, we succeed through collaboration. Historically the shortcoming in Canadian bio has been a shortage of capital. Most projects require $100 million to get past liquidity. Q. What do you think of the federal government? I think Canada has one of the most supportive governments when it comes to helping the venture capital industry. In fact, very little public funding goes to ventures in Europe and the U.S. The Canadian government is very impressive.